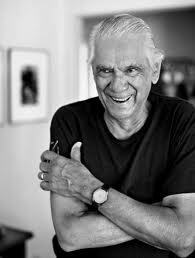 Frank Espada - a community activist, photographer, mentor and humanitarian - died yesterday in California at the age of 83. Frank had studied with Gene Smith, but por cosas de la vida had to take a series of jobs outside of photography to support his family (including his son and poet-to-be Martin Espada). "I had been photographing for more than 30 years before I got the chance to apply my knowledge and skills to make an honest statement about our experiences in our diaspora," he said. "I was not pre-programmed by some know-nothing editor to bring back more proof as to the miserable lives we were living. It was to be as loving a document as I could produce." A few years ago, Adriana Teresa invited some of Los Seis, as well as Max Colon, Pablo Delano and Perla de Leon to be in a show with Frank during the NY Photo Festival. It was an honor to show with a man who had paved the way for so many of us. It also showed those who could see, we have our own visual heroes who often are overlooked by the keepers of the canon. To paraphrase Chuck D: Some of our heroes don't appear in no galleries. Frank was a superb technician and encouraging mentor. When Los Seis put up our web site, he was one of the first to offer feedback, mixing praise with a sharp reminder that our work is a chronicle of how political expedience tried to run roughshod over a community.